You basically have said it was a poor signing particularly in bringing him to Madrid. If I misread your comments on his progress, I apologize. The deal, his father insisted on was indeed wrong and foolish, that I agree with. But he was always going to go to Castilla and develop ..... And he did. I can't stress enough about his lack of language skills is at the root of the problems in his first year. Zidane's annoyances were far more about the father that the kid. 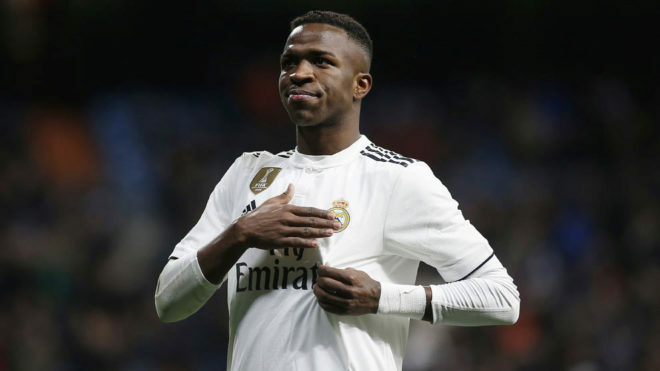 If Castilla had earned the promotion to adelante in either of the last two years when they had the potential, then his playing at Castilla likely wouldn't have been an issue. But he was a young talent that there was several clubs chasing him and it is a credit to Flo that he went out and got him and others. Our academy has not been producing as much talent in the last 3 years as they had in the previous 10. If you look at this Castilla team vs any from last 10 years, it is sadly lacking in quality and bear in mind we used to have 2 Castilla teams. That's why the new philisophy is to have the talent out on loan playing at the level they need to develop. None of these loans means the organization has given up on them, as you seemed to imply. It's as it was before, develop players as best we can and some of them will make it to 1st team, while others who may be close but not quite can be considered as assets that can recoup development costs through sales. Again you are saying Odegaard didn't develop at Castilla! How can you claim that when you haven't even to bothered to watch him? Those of us that have say there definitely has been progress. Kids develop more when they play with better talent. When they are better than all of the team or liga, then it's time to move them up a level of futbol. He would not have gotten that back at home! He would have been playing at a higher level if Castilla had gotten the promotion either of the last two years when they had the potential. That failing, they tried to loan him out this season but his age prohibited it, until now. You seem to be indicating that all this is Perez' fault and that the club shouldn't sign young talent. That is precisely why our academy (and others like barca) is so good, the assembly of young talent. Ahem or in this year's case, for some reason the pot has run a little dry. THe objective of the academy is to develop talent. Most of them don't make it to 1st team, but it is the most effective and efficient way to assemble talent. for those that don't they are financial assets and they are usually proud to have had the development theses academys offer. The deal made with his father was foolish, but to say we should stop signing talented youth because of one over zealous father is wrong, just plain wrong. You say he should be developed like Carvajal, well that's exactly what they are doing with this loan and the other 20 or so that are already out on loan. That's putting them at a level of futbol that challenges them. Again you seem to imply that the club is giving up on them. Is that what was happening when Carvajal went out on loan? Just one question for you Tito. Who is Carlos Forjanes? Hala's uncle. Pretty certain of that. That article seems to suit you well, tito. Having actually talked to Martin in person, I can confirm that some of the things stated in that article are based purely on impressions, and probably gossip, as well. I do find it interesting that James Rodriguez is "fighting tooth and nail" to adapt to other positions, though. I suppose you have to be a second rate journalist, in order to notice such things. The only time I've heard the name, Carlos Forjanes was when he predicted that Martin would become the youngest player to debut for Real Madrid. I wouldn't be surprised if you took his word for it. There isn't any disagreement with that. You can blame his over zealous father as much as you can blame Perez for that. The disagreements are what you said re his lack of development at Castilla, you saying he would have developed better staying in Norway, you saying he should have gone out on loan which is exactly what is happening now (and only just now allowed due to his age) and finally you basically saying he is finished at club just because he is going out on loan, that he should do like Carvajal which is precisely what the objective here is as well as the other 20 out on loan, all assuming they develop sufficiently. two; my suggestion about him staying in norway is more mental than ability focused. you tell a youngster "hey, u're going to come to madrid, you're going to train with cristiano modric benzema et al, you'll also play alongside them on a few occasions", then the youngster comes and he starts playing with segunda b legends. how do you think that affects his psyche? kids are impressionable. give him the truth; and that is, "you're 15, train with our youth set up and try to grow from there, or develop your game at home first, if u don't like it, don't sign"
Good debut, a bit shy but it's understandable. Looks healthy, right? Nice movements. He is going to do great in the eredivisie against these tall sluggish defenders (in the lower region teams). Mark the dates of Ajax, Feyenoord and PSV games! 4th game for Herenveen. Tabloids say possible injury. Nah haven't ready anything about an injury in dutch papers. @zigra wrote: Nah haven't ready anything about an injury in dutch papers. I read it in Norwegian newspapers. Could be wrong, for all I know. Madrid have screwed more 16yr olds than casting directors at Hollywood. @Lucifer wrote: Madrid have screwed more 16yr olds than casting directors at Hollywood. What happend to the Crotian prodigy that Barcelona signed around the same time? @Blue wrote: What happend to the Crotian prodigy that Barcelona signed around the same time? Halilovic? Was loaned to Gijón where he didn't impress. He was then sold to HSV where he didn't make it and so he was loaned out to Las Palmas last winter. He's supposed to stay there till summer 2018 and I think they can also buy him at the end of the loan if they want to. He's now 20 years old and he's a Hamburger player, but currently on loan at Las Palmas. I think I read somewhere that he's had some issues related to acting like a diva and behaving poorly towards team mates. Then again, some Spanish papers claimed that Ødegaard was arrogant and egocentric when he was being bullied by some of his Castilla team mates, and I've met very few youngsters in my life who are as humble as him. So what, Odegaard having a tough time in Holland? Why is he a fraud now? Yeah that one I couldn't remember the name, I remember how hyped he was also around the same time. Damn he flamed out really quickly.